People ask questions, such as, “What is that road block on L street, near 10th?” You know, where the driver is directed to go right, and yet people by-pass it, to turn left? What is that about?’ The mayor is supposed to know. When I don’t know directly, I ask staff and investigate the situation. I want to have answers for people.The position of mayor is chosen by the City Council to serve for one year. It is an honor, and a bit more work to serve as mayor – but it is really interesting as one gets to understand the workings of the City. As your mayor, I thought you should know a bit about me. 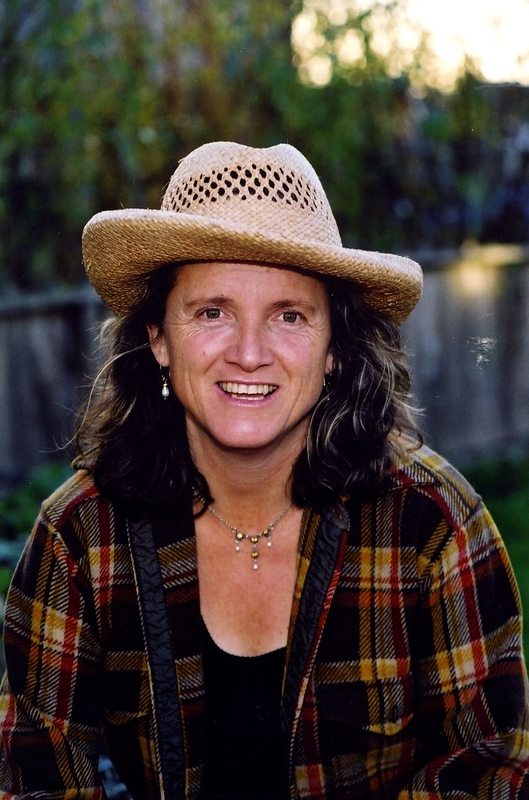 I came to Humboldt in 1976, to start a business as an organic farmer. Working with a partner in Orleans, we sold melons, corn and introduced Delicata winter squash to this region. In 1983, I co-started Willow Creek Farms, where strawberries flourished – we held Strawberry Festivals from 1985-89, with Dell’Arte performers, live bands and delicious local food. By this time, I had two children who were raised on the farm and also attended schools in Arcata. They are now wonderful young adults. In addition to farming, I graduated from HSU with a BS in Environmental Engineering and an MS in International Development Technology. At HSU, I met professor Bob Gearheart, who had led in the creation of the Arcata Marsh. He offered me a position at the university teaching sustainable agriculture. In 1993, I co-created the Arcata Educational Farm (AEF) at the City’s Bayside Park. AEF served as laboratory for the HSU class to practice small farming techniques and learn about community-supported agriculture. AEF still exists at Bayside Park, and I love seeing former students working as farmers today, many selling at the local Farmers’ Market. I had other interesting job opportunities – working as an agricultural advisor for the Hoopa Tribe (1995), a research engineer at the Schatz Energy Research Center (1996-2001), and a permaculture designer at the Potawot Health (1999-2001). Currently, I am the executive director of the Jacoby Creek Land Trust where I develop conservation easements for private landowners and manage over 250 acres in the Jacoby Creek valley. Environmentally responsible resource management, education, community health and celebrations are themes of my life. I am honored to be serving as the mayor of the City of Arcata. I stand in a long line of creative thinkers who have served this City, and it is on their hard work and imagination we now have the Community Forest, the Arcata Marsh and the innovative industrial park in Aldergrove. Arcata is on the cutting edge with its environmental, economic and social strategies and I intend to continue this tradition, with a vision toward sustainability. With that said, you may still have questions about the City of Arcata programs, policies and practices. If so, send them to me ataskthemayor@cityofarcata.org. Please try to ask questions of general interest to all. I plan to write a column about twice a month, depending on the questions. Gardening questions will be accepted also. So that obstruction on L street, down by 10th? What I found out is that this was an area where in the late 1990s, several collisions had occurred. The Transportation Safety Committee met and determined something had to be done at the intersection. This was Arcata’s first traffic calming project. While it seems odd to drivers heading south on L Street, nearby business owners say it has really reduced speed and accidents, that it is effective. A bicyclist spoke of feeling much safer on 10th street because of the traffic calming. Actually this region will be getting more traffic calming as soon the City begins the installation of the ped/bike trail along the railroad. In case you haven’t figured it out by now, Susan Ornelas is mayor of Arcata. This entry was posted on Wednesday, March 16th, 2011 at 12:50 pm	and is filed under Opinion, Community. You can follow any responses to this entry through the RSS 2.0 feed.